Your Expert Team for Boiler Installation, Maintenance & Repair in the Wichita Area. Is your boiler operating at peak efficiency? By properly maintaining your boiler and having it inspected twice a year, you could potentially save thousands in annual fuel costs. Older units that have not been maintained not only cost more to run, but can lead to reduced efficiency, shorter useful life and unreliable operation. They are also much more susceptible to shutdowns that are inconvenient at best and dangerous at worst. The challenge? It can be hard to find a service company that is truly expert when it comes to commercial and industrial boilers. The good news is, you’ve found one of those expert teams in CTS. Whether you need to install a new boiler or maintain or repair the one you have, you can trust Commercial Trade Services to get it right. 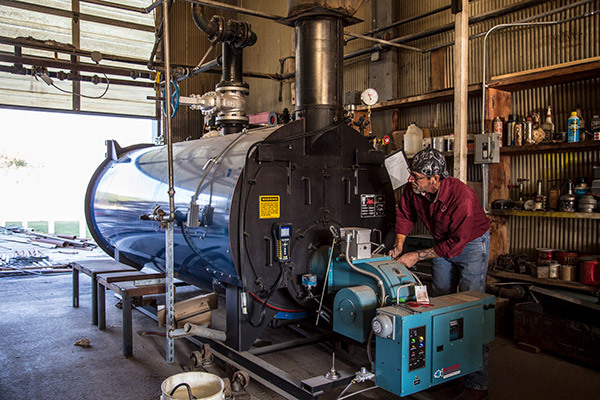 Based in Wichita, KS, Commercial Trade Services provides boiler services to Kansas and surrounding states. Do you have a state safety inspection coming up? Don’t stress. We can help you prepare by pre-inspecting your boilers. Many clients even have us onsite during these inspections as we regularly work with the state or jurisdictional inspectors. To reduce your downtime, we can correct any deficiencies right then and there. Day, night, or weekend, you can count on being taken care of by CTS. We offer same day service, and are on call 24 hours a day. Rest assured, our certified, professional team will be there to provide quality service when you need it. Our focus on long-term business relationships ensures expert work, integrity in scheduling, and communication that keeps you informed, confident and worry-free every step of the way.